As is the custom, the total applications exceed the 85,000 ceiling for new (but not renewed) H-1B visas; 20,000 of them are to go to aliens with U.S. master's degrees or (more rarely) PhDs. The remaining 65,000 slots will be randomly distributed among those with U.S. master's degrees or PhDs, as well as aliens with bachelor's degrees from here and abroad. The sequence of the two lotteries this year means that those with U.S. advanced degrees will have two bites at the apple, while others get only one. This was a design change meant to increase the average educational quality of the H-1Bs. Unfortunately, the government, again this year, did not announce the size of the H-1B population, which is suspected to be well over half a million. This means that the press coverage will relate to the smaller numbers — 20,000 and 65,000 — rather than to the massive size of the entire H-1B cohort. 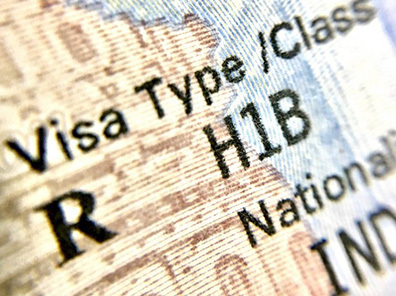 H-1B visas are routinely issued for three years, with a virtually automatic three-year extension. If an employer applies for a green card for an H-1B worker, the visa can continue to be extended until the worker gets a green card or the employer loses interest in the worker. The numerical limits were set by Congress. It will be interesting to see in the weeks and months ahead what the male/female and Indian/non-Indian distributions will be. The program usually produces outsize proportions of young Indian males from the south of that country, as we have reported from time to time. Needless to say, no American citizens get any of these jobs.